(NEW YORK, NY) - As part of a transformative criminal justice reform package included in the New York State budget, Governor Cuomo signed into law a complete overhaul of New York’s Discovery law, often referred to as the “Blindfold Law.” This follows nearly half a century of "trial by ambush" where people were forced to accept plea deals or go to trial without ever knowing the evidence in their cases and made New York third in the country in wrongful convictions. The passage of this law was a culmination of the efforts of a broad coalition of impacted people, legal practitioners, advocacy organizations, labor groups, and the tireless work by dedicated lawmakers, including long time champions and bill sponsors Assembly Member Joseph Lentol and Senator Jamaal Bailey as well as Governor Cuomo, Assembly Speaker Heastie and Senate Majority Leader Stewart-Cousins. One crucial provision is the requirement that prosecutors provide the full range of discovery prior to the acceptance of a plea bargain. This will impact a large majority of people facing criminal allegations due to the prevalence of plea bargaining in today's criminal legal system. Guilty pleas result in a wide range of collateral consequences, including loss of employment, educational opportunity, housing and deportation. The new law emphasizes the right of someone to fully understand the charges before making this life-changing decision. “Discovery for Justice, Bronx-based community members seeking to bring attention to the injustice of the Blindfold Law, is very pleased to have played a part in the formation of the statewide coalition of stakeholders that brought about this unprecedented movement that has forever advanced the cause of justice in our state’s criminal laws. Evidence is the bedrock of our criminal justice system. For too long, New York State blindfolded the accused and forced them to fight for their freedom not knowing what was being used against them. With the passage of the Discovery for Justice Reform Act, New York will become a leader in justice and fairness when it comes to discovery. The State of New York cannot afford to put those who are innocent behind bars. New York State legislators, by passing the Discovery for Justice Reform Act, will help increase trust in our system by requiring open, early and automatic discovery.” – Syed Saad Ahmed, Board Member, Discovery for Justice (D4J). “The New York State Association of Criminal Defense Lawyers applauds the historic actions by the New York State Assembly, Senate and Governor in the passage of criminal justice reform that will create a more fundamentally fair, equitable and just criminal justice system. New York State is now, and should always remain, a leader on these issues.” – Lori Cohen, President, New York State Association of Criminal Defense Lawyers (NYSACDL). “NYSDA applauds the Assembly, the Senate, and the Governor for enacting landmark criminal discovery legislation. The new law will help ensure prompt disclosure of the prosecution’s evidence, so that all those accused of a crime and their counsel may conduct informed investigations, file appropriate motions, evaluate plea offers, and make informed decisions about going to trial. NYSDA looks forward to working with the public defense community to ensure the promises of this legislation become a reality on January 1, 2020.” -- Susan C. Bryant, Acting Director, New York State Defenders Association (NYSDA). “CDANY commends these significant changes in Discovery and thanks Governor Cuomo, the Senate and the Assembly for making them happen. Accused people in every part of the state will now benefit for a more fair and equitable system.” – David Schopp, Esq., President-Elect, Chief Defenders Association of New York (CDANY). “For decades our clients have been forced to go to trial or plead guilty without knowing the evidence the prosecutor had. However, as of today, this injustice ends. Now, people who are accused will have early access to critical evidence and other information necessary to fully defend themselves in court. This reform would not have occurred without the steadfast dedication of impacted people, advocate allies and the bill sponsors. A special thanks to The Legal Aid Society’s John Schoeffel who spent the last decade raising awareness about our State’s flawed discovery statute and working towards its overhaul to better serve our clients in the interest of fairness and justice,” -- Tina Luongo, Attorney-In-Charge of the Criminal Defense Practice, The Legal Aid Society. “Brooklyn has had an open file discovery process for 20 years and it has resulted in much fairer resolutions, including drug treatment, mental health treatment and other restorative justice programs when appropriate. We attribute the greater overall fairness of our system to its transparency and applaud the Assembly, the Governor and the Senate for passing these much-needed reforms throughout the state.” -- Lisa Schreibersdorf, Executive Director, Brooklyn Defender Services. “We are thrilled that the Governor and the Legislature have passed one of the strongest discovery laws in the country. For too long, our clients have been forced to make some of the most consequential decisions in their lives, such as whether to accept a plea bargain or go to trial, without access to even the most basic evidence in their cases. This bill will ensure basic fairness and transparency in our criminal legal system.” – Justine Olderman, Executive Director, The Bronx Defenders. “Today, because of the unwavering advocacy of directly impacted people and organizations across the state, New York State passed a historic bill to overhaul our discovery laws. Now, New Yorkers who become ensnared in the criminal legal system will not be blindfolded to the evidence against them, unable to prepare a defense or coerced into plea deals without knowing even the basic facts of their case. This is a critical step in reigning in the often unchecked power of prosecutors and protecting New Yorkers from mass criminalization and wrongful convictions. In this victory, we celebrate the power of movements led by impacted people to create seismic change.” - DeAnna Hoskins, President & CEO, JustLeadershipUSA. “The blindfold has at long last been lifted, enabling a massive renovation of the pretrial system. Too many wrongful convictions in New York had been enabled by a system that operated in the dark. No longer will innocent criminal defendants be forced into the irrational choice of pleading guilty and spending years behind bars for crimes they did not commit. This reform also directly addresses much of the racial injustice that is baked into and impacts New York’s criminal process. Today is a historic day and we are extraordinarily grateful to the Governor and the legislature, including Assemblyman Lentol and Senator Bailey.” -- Rebecca Brown, Director of Policy, Innocence Project. “We are giving up some stuff, but we got enough to get a bill signed. I’ll take 90% and we will keep fighting for the rest. When I was arrested and sent to Rikers Island, I didn’t see the streets for 18 months, while the District Attorney withheld all the exculpatory evidence. Under this new discovery bill, I believe I would have gotten out after 15 days. What we’ve been asking for is a fair chance in court, for prosecutors to have to actually show that they have some proof of a valid case, and this gets us closer to that. Prosecutors are going to have to do more honest work now to prove a case, instead of just selling people out.” – Darryl Herring, Community Leader, VOCAL-NY. “New York’s passage of comprehensive discovery reform represents an important step toward dismantling a racist and regressive pretrial system that is responsible for jailing tens of thousands of un-convicted people and damaging the lives of countless Black, Brown and low-income New Yorkers. Transparency about the allegations and evidence against you is foundational to shifting unfettered power out of the hands of prosecutors and better balancing the scales of justice. 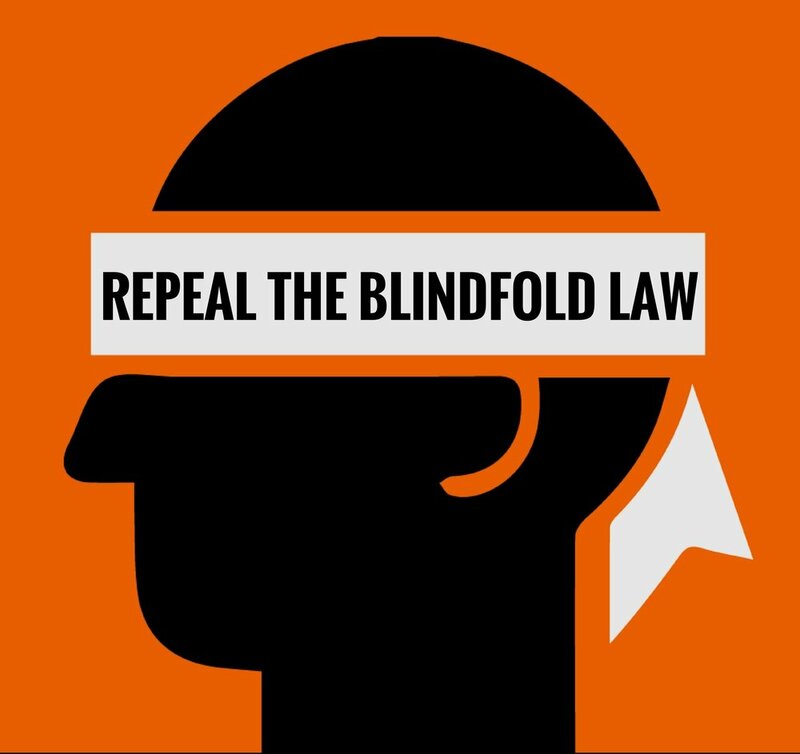 Repealing the Blindfold Law represents an essential rolling back of the New Jim Crow Laws that created the crisis of mass incarceration.” – Erin George, Criminal Justice Campaigns Director, Citizen Action of New York. “On behalf of the New York Hotel Trades Council and our more than 35,000 members, I congratulate Governor Cuomo, Senate Majority Leader Stewart-Cousins, and Assembly Speaker Heastie for agreeing to enact discovery reform in this year’s budget. By fixing our discovery statutes, tens of thousands of individuals, who are mostly low-income and people of color, will no longer have to worry about whether they will have access to critical information about their cases in a timely manner, which will help prevent wrongful convictions. This victory would not have been possible without the tireless work of advocates and our champion members in the Assembly and Senate. HTC is proud to have been a part of the fight for reform and will continue to put our political resources, energy and member power behind being a catalyst for change and force of justice for all New Yorkers.” -- Peter Ward, President, New York Hotel Trades Council. "For too long, New York’s antiquated criminal discovery laws kept people in the dark about crucial evidence in their cases and prevented them from having a fair chance in court. Today's historic changes make New York's criminal discovery laws the fairest in the country. These reforms will level the playing field by ensuring that defendants can see the evidence against them in time to make informed choices about plea bargains or trial." - Justin Harrison, Legislative Attorney, New York Civil Liberties Union (NYCLU). “The right of the accused to any evidence that may be used against them is basic to their fundamental constitutional right of the presumption of innocence until proven guilty. The New York State Discovery For Justice Act will help insure that this right will be protected.” -- Bill Bastuk, It Could Happen To You. "We want to applaud the commitment, tenacity, and strategic planning of lawmakers, including Assemblyman Lentol and Senator Bailey as well as the Blindfold Coalition -- and the community organizing efforts that finally got this discovery reform done after so many years of struggle!" -- Henry Garrido, Executive Director, District Council 37. The coalition extends a special thank you to the staff of the Assembly, Senate and Governor’s staff, including Daniel Salvin, Marty Rosenbaum, Jonathan Bailey, Kathleen O’Keefe, Nadia Gareeb, Dorothy Powell, Shontell Smith, Adam Silverman, Marta Nelson, Jason Starr, and Joe Popcun, for the hundreds of hours they dedicated to negotiating the details of this historic legislation.